8vo, 32pp. Printed wraps. Colour and Black & White plates. Text in English and German. Arch post modernist Binazzi may be responsible for many things- As a founding UFO and Global Tools member he was part of a radical wave of italian architecture and design, and alongside Gruppo 9999 and Superstudio, violently opposed the standardisation and doctrines of the international style. 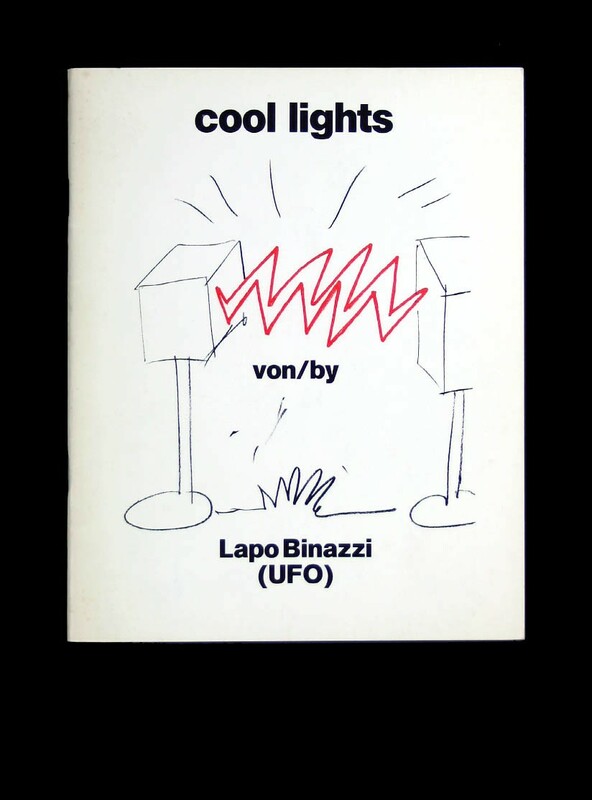 The majority of his work is somewhat ephemeral- and was destroyed over time, meaning products such as his lights – are some of the only tangible vessels left of this era. This book compiles some of his work, experiments and theories.